Although the Johnny Budz remix, later released in the US, is kinda fun, and the Tiesto remix is cool, the JCA remix is the real gem here: the best re-work of this song. Don't care much about the Filterheadz remix. Although the Johnny Budz remix is kinda fun, the JCA remix is the best re-work of this song. Too bad it wasn't included in this release. However, the "Never Dubbed" release is all good! The 7 track US release of this track definitely sets itself apart from the rest. It drops both the JCA and DJ Tiesto remixes and leans heavily on the original and Filterheadz mixes to fill the void. It also adds the Johnny Budz & Max Reich mixes that I believe were otherwise unreleased. The only major problem with the US release, is that it completely lacked the Robbie Rivera remix that was released only in US territory... and worse, only on vinyl. 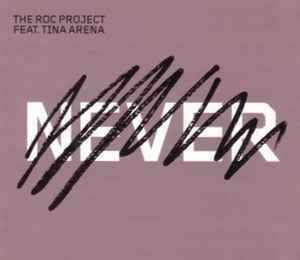 As for the song itself, the Roc Project did an excellent job of being both pop friendly and dance floor faithful. The concept is simple, and the hook is easy to remember, but it is in the production choices that truly take this track to another level. It's haunting, taunting, scornful, and mourning all at once. It can be everything to so many people, and this is exceptionally difficult to create. I can't believe it. The US release of this has 7 mixes and not ONE of them is the DJ Tiesto mix which is the only good mix of this song. Quite a disappointment. Although, if you like house, this would be good for you, but I can't stand the lack of trance on this edition.